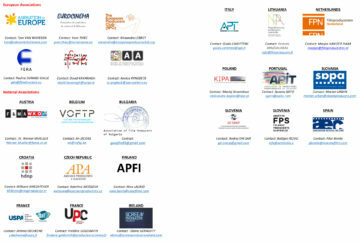 We, authors and producers, coming from all over Europe and represented by our pan-European and national organisations represent the most important community of television and film professionals in Europe. We would like to express our position on the revision of AudioVisual Media Services (AVMS) Directive. The AVMS Directive is the pillar of the European audiovisual regulation and instrumental for the circulation and promotion of European works, thus nurturing cultural diversity in the audiovisual sector. The EC proposal for a revised AVMS Directive proposed in May 2016 introduced many well-thoughtout proposals. Among these, Article 13.2 provides for the possibility for Member States to require financial contributions (direct investment in content) from on-demand audiovisual media services established in other Member States but targeting their territory, that will contribute to funding local and European creations. This is a very good approach to address the forum shopping from which we are all suffering in Europe. But where the Council is pushing for an application of this rule to all media services – on-demand as well as broadcasters – on a technologically neutral basis, the European Commission and Parliament are embracing a timid approach by excluding broadcasters in this measure. We would like to express our support for the Council position and welcome this ambitious attempt to establish a level playing field regarding obligations related to the promotion of European works. The contributions would be calculated on the basis of revenues generated in the country that is specifically targeted by broadcasters or online demand services. There are countless examples of online platforms and broadcasters that are established outside a certain territory in order to avoid being subject to that territory’s rules and obligations, and that are targeting specifically another country, with programs dubbed or proposed in the local language, with a catalogue specially designed for the targeted audience or with advertising breaks adapted to local consumers. Due to the convergence of the competition between on-demand services and broadcasters, both markets must be regulated by the rules of the targeted country. Broadcasters cannot be outside of any new system. Countries that are targeted will be able to use any collected resource and financial contribution to support development of local audio-visual creations and European coproductions. This proposed revision provides an innovative mechanism allowing the constant growth and the value of European cultural diversity in the Audio-visual sector. Download the full list of signatories in Press Release PDF version here.